Recovering from any surgical procedure for many individuals can be challenging. Specifically with the elderly, Post Surgical care can be critical. Recovery may take weeks or even months before the physical healing has been completed. Depending on the surgery, physical therapy, occupational therapy and other medical procedures may be necessary on the road to recovery. At times, the physical pain may be less than the emotional burden of surgical recovery. Your loved one may feel frustrated, discouraged or even defeated. Physical support and assistance coupled with emotional encouragement in the comfort of home can provide for an ideal healing environment. While needing additional help and support may be necessary, our dedicated staff can help you to determine how much help may be needed after all. 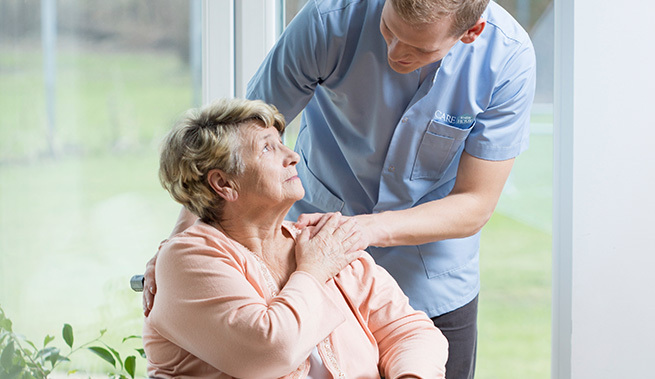 Our custom care plan is tailored to meet your specific needs, be it a few weeks, months or ongoing in home care. Our trained staff provides the needed in home support to recover for a wide variety of Orthopedic and other Surgical Procedures. We can assist patients with bathing, dressing, grooming, toileting and incontinence care. Our caregivers may also supervise and assist with Range of Motion and daily exercise routines. Care To Stay Home’s main goal is to provide your loved one with the personal attention and assistance they need after their surgery. Our Care Managers can meet with you to discuss your specific care needs and perform consultations prior to surgery. We are also able to coordinate that care with the medical professionals overseeing treatment, such as the doctor’s office, home health team, therapists and other medical teams as needed. To talk with our Care Managers or to schedule your free in-home assessment, click here. The National Stroke Association predicts that 795,00 Americans will experience a stroke this year. Those who have had a stroke are almost 15% more likely to have a second stroke within a year of their first incident. Few Americans know the signs and symptoms of a stroke. Learning them and acting FAST when they occur could save your life or the life of a loved one. LEARN WHAT IT TAKES TO STAY STROKE FREE! For more information on stroke, risk factors, prevention of stroke, and other resources, please visit the National Stoke Association. Care To Stay Home is here to provide a safe and supportive home environment for your loved one after a stroke. Post Stroke recovery can be very important in the lives of our clients and we understand the need for compassionate and professional assistance. Our caregivers understand the physical, mental and emotional needs of a stroke survivor. Our continuous, one-on-one care and attention provides the support and assistance needed to maintain your loved one at home. Our Care Managers can meet with you to discuss your specific care needs and perform consultations at home or in a hospital or facility setting. We are also able to coordinate that care with the medical professionals overseeing treatment, such as the doctor’s office, home health team, therapists and other medical teams as needed. We strive to coordinate our care with the medical professionals attending to your loved ones medical needs. To talk with our Care Managers or to schedule your free in-home assessment, click here. Parkinson’s disease (PD) is a neurodegenerative brain disorder that progresses slowly in most people. PD targets and affects the central nervous system and impacts more than 1.5 million people in the United States. Due to the nature of PD, the symptoms typically get worse over time. Most physicians focus on treatments that help control the symptoms of PD that enable you to manage your PD and enhance your quality of life. Care To Stay Home helps to make life at home easier for your loved one living with Parkinson’s disease. As your loved one loses the ability to control their movements, their ability to perform certain tasks becomes more difficult. Our professionally trained Caregivers are there to assist and extend the quality of life, even as symptoms progress. We continually monitor and oversee the management of our Caregiving staff to ensure a safe and comfortable home environment. As the needs of our clients change and progress, we adapt our services to meet the needs of our clients. • Personal Care: Bathing, dressing , personal hygiene & grooming, etc. • Physical Exercise: Supervise exercise routines, range of motion, etc. The challenges of caring for a loved one become a part of everyday life for millions of Americans. As parents and loved ones age, the need for increased help and assistance become necessary to maintain life at home. Caring for a loved one can be physically, mentally and emotionally challenging and no one can fully be prepared to do it alone. Getting help is essential for your health and your resilience is critical for your loved one. Seeking professional support and maintaining one’s own health are key to maintaining the caregiving years. Using respite care before you become overwhelmed, exhausted or isolated can change the way you care for your loved one. Respite Care is the provision of short-term, temporary relief to those who are caring for family members who might otherwise require permanent placement in a facility outside the home. Without respite, not only can the families suffer economically and emotionally, caregivers themselves may face serious health and social risks as a result of the stress affiliated with continuous caregiving. Respite care has been shown to help sustain family caregiver health and wellbeing, avoid or delay out-of-home placements and reduce the potential for abuse and neglect. 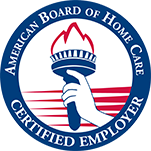 Finding the right solution for your situation can be a challenge, however Care To Stay Home has dedicated care managers who work with family caregivers to provide the right Respite Care solutions. Our care managers assist to identify your needs along with the care needs of your loved one. We develop a personalized plan of care to help provide the much needed relief to sustain care in the home. Our professional caregivers are able to provide relief to you and your loved one for as little as a few hours a day up to 24 hours a day. To speak with a care manager today, click here.